NEWTON, Iowa – (Editor’s Note: The NASCAR Camping World Truck Series will inch closer to the halfway point of its season with the running of Saturday night’s American Ethanol 200 at Iowa Speedway. 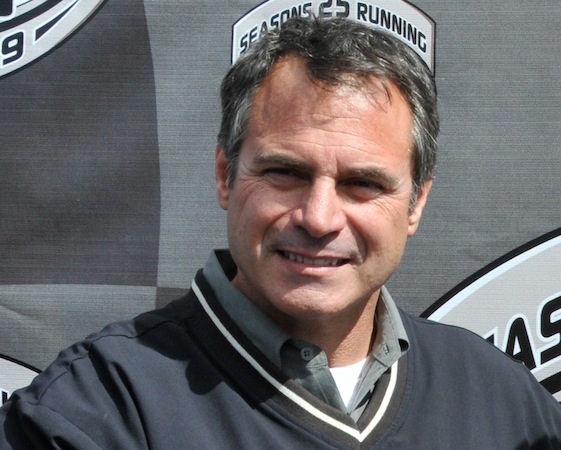 Former driver Chad Little was promoted from NASCAR’s K&N Series at the beginning of the year when he was named director of the truck series. He replaced longtime director Wayne Auton, who now holds the same position in NASCAR’s Nationwide Series. RacinToday: You are a former driver and worked as director for NASCAR in the Modified and K&N Series. How has that prepared you for your new role? RacinToday: Is it kind of what you expected moving up to this level? RacinToday: From your perspective, is it easier or more difficult to manage if you’re working a companion or standalone weekend? RacinToday: How tough is it to win a race nowadays in the truck series? RacinToday: What are your thoughts about some of the younger drivers, such as Ryan Blaney, Jeb Burton, Ty Dillon and Chase Elliott, making such a splash in this series? RacinToday: How excited are you to get to Eldora at the end of the month? RacinToday: With Speed converting to Fox Sports 1, what will this mean for coverage of the truck series? RacinToday: Looking into your crystal ball for 2014, what are you guys thinking regarding the race schedule?